SINGAPORE, 25 September 2018 - Canon today announced the launch of three compact PIXMA printers primed to enhance productivity in homes and home offices with a host of features such as flexible printing layouts, automatic two-sided printing for efficient production and ability to print on special media for custom designs like nail art. The PIXMA TS9570 and PIXMA TR4270S feature an Automatic Document Feeder (ADF)1 design that can fit up to 20 A4 document originals for batch scanning, copying, and faxing2. Coupled with the ability to print in A3 sizes, the PIXMA TS9570 offers more advanced copying functions. With the new Booklet Layout Copy feature, large multiple-page document stacks can be compressed into A4 or A5 sized booklets effortlessly. A3 size originals can also be reproduced easily with the Oversized Copy function that stitches opposing end-scans of an A3 original before a copy is made. With the two-way paper feed design3, users can load paper in two directions (rear tray and cassette tray) and switch between two different paper types easily, such as plain paper and glossy photo paper. The benefits of rear tray feeding also extend to the use of smaller format papers such as business cards, and thicker card stock paper, made possible with a straighter paper path. For users with high volume print requirements, both paper input orientations can be utilised for a combined A4 paper capacity of up to 200 sheets. Using the new Nail Sticker Creator app4, users can create beautiful nail art designs with ease. Simply print the design on Canon’s Nail Stickers (NL-101) with the PIXMA TS9570 or PIXMA TS8270 printers, before applying to fingernails. A simple buff and topcoat application completes the process, saving users a trip to the nail salon. 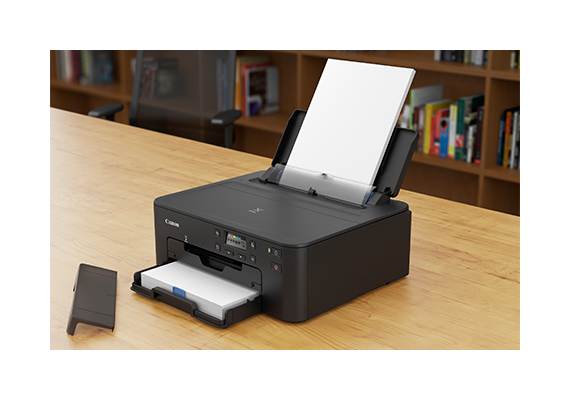 The new PIXMA printers feature easy wireless setup and direct wireless connection5 to mobile devices. The inclusion of a new Wireless Connect button enables easy connection to a secure home or office network, right out of the box. 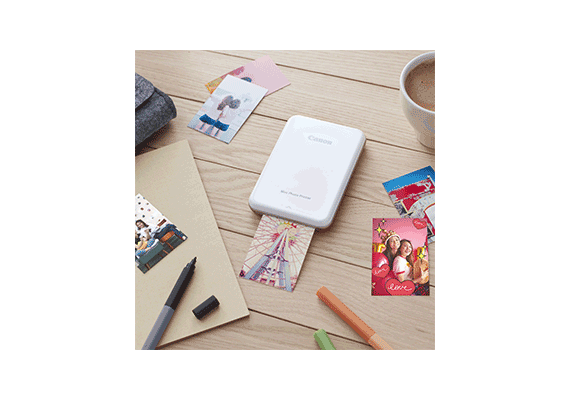 A3 Wireless Photo Printer with Large 4.3 inch Touch-Screen and Auto Document Feeder. 1 Duplex printing must be selected under printing preferences. Does not require manual reinsertion of pages to print on the second side. 2 Applicable only to TR4570S. 3 Applicable to PIXMA TS9570 and TS8270. PIXMA TS9570 supports only A3 size in the rear tray. 4 The Nail sticker app will be available by the end of 2018. The app is free for download on the Apple App Store and Google Play Store and is compatible with Android 5.1 and later, iOS 10 and later. 5 Wireless printing requires a working network with wireless 802.11 b/g/n capability. Wireless performance may vary based on terrain and distance between the printer and wireless network clients.